I Toad You So: Where Else Was Home for Family Circle Cup? Where Else Was Home for Family Circle Cup? Other than Hilton Head Island, where else was the Family Circle Cup held? 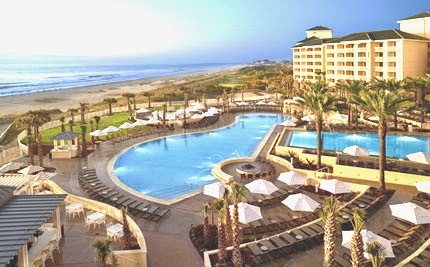 Amelia Island. Beginning in 1973 on Hilton Head Island, Family Circle Cup took up residence at Amelia Island, Florida (not aware of the reason for this) for just two years and then was back in Hilton Head Island until moving to Daniel Island in Charleston in 2001. I recently took a trip back to Amelia and stayed at the Omni Plantation resort and had a fantastic time while there. Go if you get the opportunity.